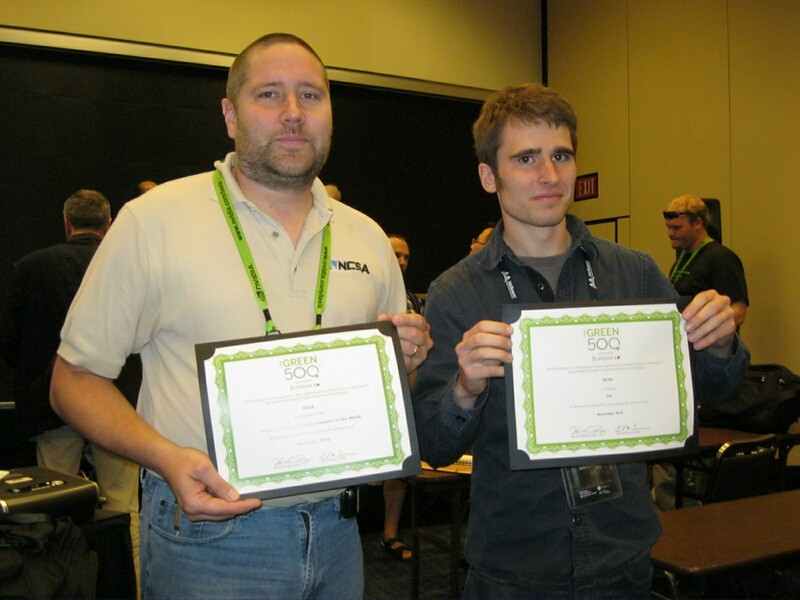 The latest Green500 rankings were released last week at Supercomputing 2010! 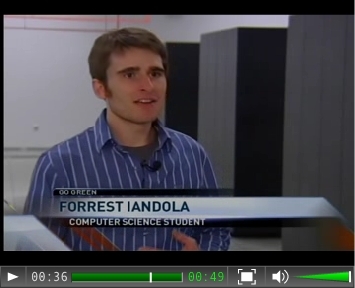 My work on the NCSA EcoG cluster with Profs. William D. Gropp and Wen-Mei Hwu and research scientist Mike Showerman earned two Green500 awards. According to Green500, EcoG is the greenest self-built supercomputer in the world. When compared to self-built clusters and commercially-built machines from IBM, Cray, and others, the Green500 lists the EcoG cluster as the world’s 3rd greenest supercomputer. IBM’s NNSA/SC Blue Gene/Q Prototype tops the list with 1684.20 MFLOPS/W. Second is Tokyo Institute of Technology’s commercially-built computer, which uses NVIDIA GPUs to produce 958.35 MFLOPS/W. Producing 933.06 MFLOPS per Watt, EcoG was designed and constructed for a fraction of the cost of these machines. EcoG demonstrates the possibilities for constructing fast, efficient, world-class supercomputers without multi-million dollar grants or large industry budgets. The world’s greenest supercomputer is receiving a decent amount of press coverage, including an article that NCSA’s Allison Copenbarger printed earlier this month. The article has been syndicated by the University of Illinois College of Engineering, the Department of Computer Science, the Department of Electrical and Computer Engineering, and the Coordinated Science Laboratory. Even the Communications of the ACM newsletter published a version of the NCSA article. Steena, Rick, Omar – Thanks!